We now have 3 Camping Pods available for hire at Windy Harbour on the outskirts of Blackpool in the North West of England. These brand new Camping Pods have all the appeal of camping but without the need to pitch up the tent. So whatever the weather, you can have the camping experience. A camping pod is one of the more affordable glamping experiences and can be had throughout the season. A camping pod is probably best described as a wooden tent, simple enough in structure but able to be made into anything you want, whether you fancy transforming it into a luxury boudoir for the weekend or keeping it basic for a 'get away from it all' break. Whatever the time of year, your camping pod will be warm and cosy thanks to the heating provided as well as great insulation. 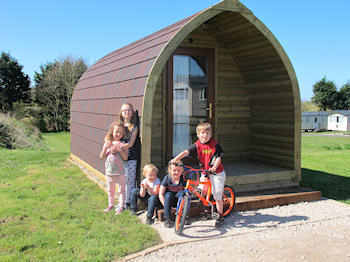 Camping pods sleep up to 4 people - but please note that if it's 4 adults, space will be limited. Prices start at just £30 per night. 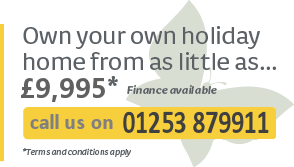 Call 01253 879911 to book. The camping pods come with heating, mains lights and an electric socket for charging. All you need to bring is your camping gear - minus the tent. The pods have laminate flooring and are completely empty on arrival. We do accept well behaved dogs at Windy Harbour and one dog is allowed in the Camping Pod but must be specified at the time of booking. Want to stay in one of our Camping Pods? You can booking one of our camping pods online or please call us on 01253 879911 for availability and booking information.